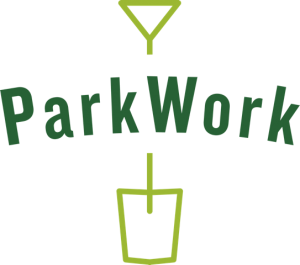 ParkWork offers training and skills development for people who need additional support to secure permanent employment, while improving the maintenance and management of Bristol’s parks. ParkWork trains low skilled people in difficult circumstances to create routes to employment. Work carried out is additional to the scheduled maintenance works carried by Bristol Parks. There is also an opportunity for volunteers to gain experience and training while working with ParkWork teams. Please contact ParkWork coordinator Joe McKenna or Bristol Parks Forum if you have projects or tasks that ParkWork teams could get involved with. Volunteers are welcome to join the ParkWork teams Monday to Thursday. Meet at their yard at the top of Eastville park (Car park) at 9.30 or contact Joe Mckenna on 07469 400689 or joe.mckenna@bristol.gov.uk to find out where in the city they will be working on a particular day, you can then meet them on site. ParkWork started as a 15 month practical pilot of costs and benefits of involving volunteers and placement workers in the management of parks and public open space in Bristol. Bristol Parks Forum, Bristol City Council, and LUC secured funding from the UK ‘Rethinking Parks’ Programme run by Nesta in partnership with the Heritage Lottery Fund and the Big Lottery Fund in 2014, it is one of 11 projects to have received funding from 209 Expressions of Interest. In recognition of the value of the work being undertaken further funding was then provided by Bristol City Council to extend the duration of the project. • To Enhance Resources available for management of Bristol’s parks and green spaces. • To Support Quality Parks, towards meeting community park groups aspirations and implementing management plans. • To Deliver Social Benefits, providing marginalised communities with new skills and training. Our ParkWork coordinator (Joe McKenna) has been with the project since work started on the ground in early 2015.